Costumes from Kamen Rider Zi-O. One piece with mantle (with choker) of “Tsukuyomi” who came from the future 50 years later. 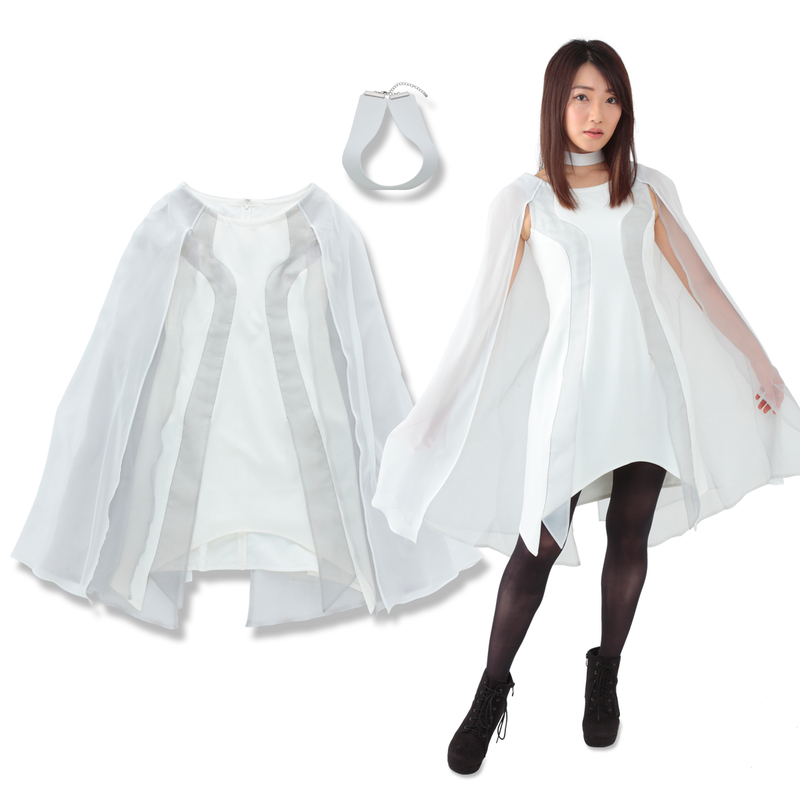 The impressive one piece of “Tsukuyomi” is made of two-tiered mantle of organdie and chiffon, with an unique design of tight silhouette and a semicircular cut at the hem. The two lines made of organdie on the front of the one piece shine with a gloss, creating a silhouette with a sense of future as a whole. The transparent double mantle will flutter with movement.